In 2010 and 2011 OPT bought these five fields from three different owners - Tesco, Oxford City Council, and local farmers the Ward family. ‘Hamm’ is the Anglo Saxon term for an ‘enclosure within the bend of a river’. The fields, which are surrounded by ancient hedges containing veteran trees, are ancient hay meadows and have been here for over 400 years - they appear on the 1605 Corpus Christi map by Thomas Langdon just as they are today. A botanical survey in 1978 identified the flora as being National Vegetation Classification MG4 and MG5 (the field furthest from the river) grassland. Changes in ownership and a lack of appropriate management led to the ditches silting up and becoming waterlogged. Despite this, a number of rare plants survive including yellow loosestrife, bladder sedge, tubular water dropwort and greater water parsnip. 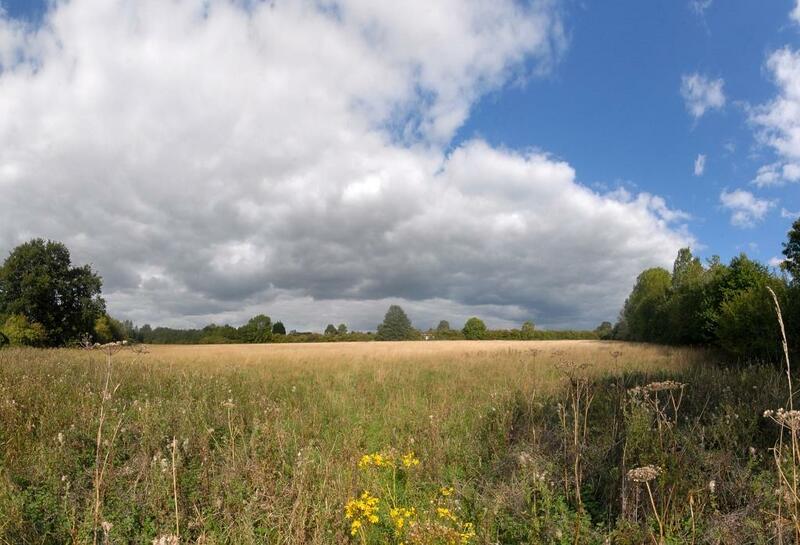 In 2017 OPT reached an agreement with Grosvenor Estates, the developers of Barton Park, as mitigation for loss of some flower-rich grassland within the development. Work to restore the old grassland will return Marston Hamm to traditional management of grazing and hay cuts. The agreement includes funding to open up the land to the public to enjoy through the creation of a circular walk to and from the Vicky Arms with information boards.